These are the most common insurances accepted by Dentists in Tulsa, OK. Outstanding work, was hauling livestock from Virginia to/from various states when my implant #9 (front tooth) became loose & fell out the day before, called left a message & he called me back within 5 mins told me to come see him that day (a Sunday) very polite gentleman & staff also! Needless to say we made small talk, as I am a retired Navy Veteran, about our beloved Veterans & whole procedure took about 1 hr, from walking in to paying out! Highest Valor & Recommendation Medal ? ?Received Doc!. He made me the most beautiful front teeth and he is so sweet and gentle!. Very friendly and comfortable atmosphere!. apparently they like to surprise you with 900.00 bills because they are too lazy to actually find out how much TWO insurance will cover before they do the work. What dentist does not know how much a crown cost from their vendor..
extremely difficult to get what charges will be they actually told me that they don't know what a crown will end up costing!. 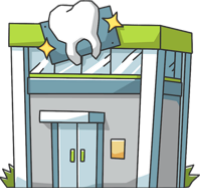 This office performed a root canal and put a crown on a tooth 3.5 years ago. Shortly after, I switched dentists because of new insurance. The past week, the crown this office put on has been chipping and causing pain and problems to the point of needing to get it replaced. Since my crown was only 3 and a half years old, I called to see if they would replace it for me for a lower cost. I was told they would only pay 25% of the replacement, making my cost around $475. I explained the situation to my current dentist, Mint Dental, and they discounted it for me charging me only $150. I have had 5-6 crowns over my lifetime and never had problems like this. I know crowns should last longer than 3 and a half years, so I am unhappy with this dentist..